Short Info:- New India Assurance Company Limited has released NIACL Result. This result is for Assitant profile exam. This Recruitment is for 685 posts. 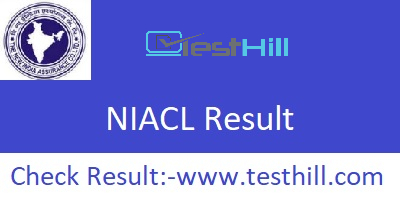 This NIACL Result is available on the official website of NIACL. The pre-examination for NIACL recruitment 2018 has been conducted successfully on 8-9 September 2018. After releasing the pre-examination result the authority has conducted the mains-examination on 6th October 2018. The final result and all update regarding this examination are available on the official website. Candidates can check these updates on our website as well. We will also provide new updates on the website in near future. So, we have advised all candidates to stay in touch with us for further updates or queries regarding the recruitment. New India Assurance Company Limited Result 2018 for Assistant Examination is available on the official website. Candidates can check it now. All the appeared candidates are waiting for their NIACL result. There were 685 vacancies and a huge number of candidates have participated in this examination. This result is very essential for all the candidates who have appeared in the written examination (pre, mains). The result is given on the official website is categorized by states wise list. All appeared candidates can check their roll no or required credentials according which state they belong to, after that they will have to follow the next step which will take them to another window contains result pdf. On that list, they will have to check their name for confirmation. All selected candidates called for further process.